When we think of Las Vegas we automatically think of casinos and the vibrant nightlife it offers. What many do not consider is that they have a reputation for offering world-class golf courses. With great weather practically all year round, Las Vegas is an excellent golfing city and it boasts around 50 golf courses, many of them offering excellent golfing and facilities. Plus, there is Internet access just about everywhere, so you can enjoy a bit of putting while still enjoying a Vegas style gambling experience online at a site like River Belle casino. Shadow Creek, in North Las Vegas was designed by Tom Fazio and was built by Steve Wynn. This 18-hole course was built in 1989. It is a beautiful course and has lakes, waterfalls, many varieties of trees, rolling hills and exotic birds can be spotted. The course was designed in such a way that each hole was not visible from the next. The four par holes are unique and really interesting. In 2008 Shadow Creek was renovated and some of the holes were redesigned. The course also has a new addition, a short game facility. Cascata, which is Italian for “waterfall” is a Rees Jones design and can be found about 30 miles past the Las Vegas Strip. It is located in Boulder City and has won many awards over the years not only in the USA but around the world as well. The course has been designed around stunning scenery, which includes desert landscape. The main attraction, besides the beautifully designed par 72 course is a 418 foot waterfall that overflows into a river which flows through the clubhouse. The course offers well-trained caddies and is a golfing experience that one will not soon forget. The Tournament Players Club (TPC) is owned by the PGA Tour and has hosted many professional tournaments over the years. The course is located in Summerlin and is a 71 par course and was designed by Bobby Weed and Raymond Floyd. This is an especially challenging course, especially the back nine which is known for being complex. Worth mentioning is the par 4 on the 13th hole, known as “Death Valley”. The course offers views of the Red Rock Canyon together with lush green greens and desert landscape. Royal Links in Las Vegas pays tribute to the game of golf. Dye International designed the course and the features are all inspired by the different Open Championship courses that include the Road Hole, Hell Bunker and the Postage Stamp. What makes this course interesting and quite unique are the monuments found at various places on the course, which highlights special moments in Open history. This golf course is found 25 minutes northwest of the Las Vegas Strip. It was designed by Pete Dye. 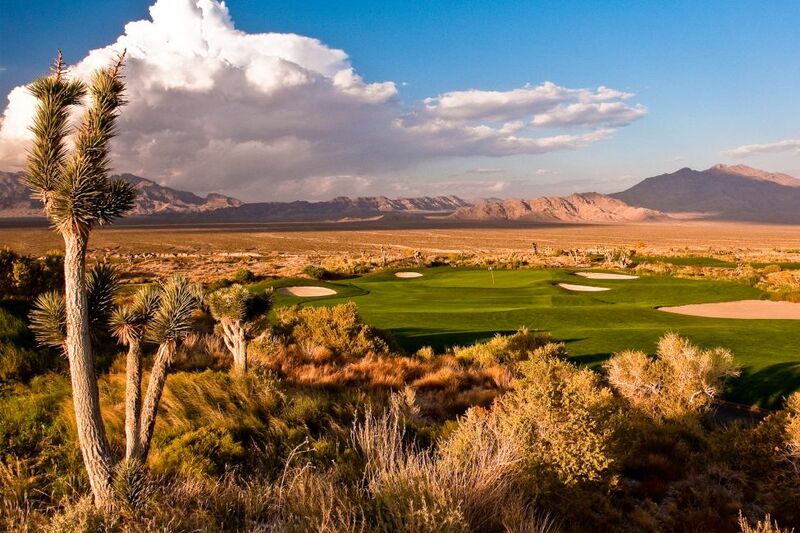 Las Vegas Paiute Golf Resort has three courses Snow Mountain, Sun Mountain and The Wolf. These are all rated top of their class. The Wolf is considered the most difficult of the three courses. This golf resort also offers good value for money.